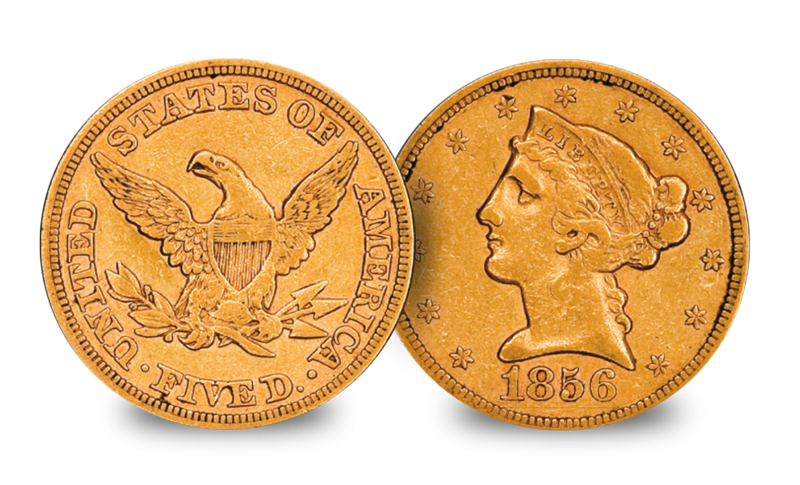 The American gold $5 coin was the very first to be struck after the coinage act of April 2nd, 1792, alongside the gold $10. The $5 denomination has the distinction of being the only denomination for which coins were minted at all eight US mints. This set is comprised of the Liberty Head by Christian Gobrecht, produced from 1839-1908 and the Indian Head by Bela Lyon Pratt, produced form 1908-1929. The obverse of the Liberty Head features Lady Liberty surrounded by 13 stars representing the 13 colonies. She is wearing a coronet with the word ‘liberty’ printed across the top. 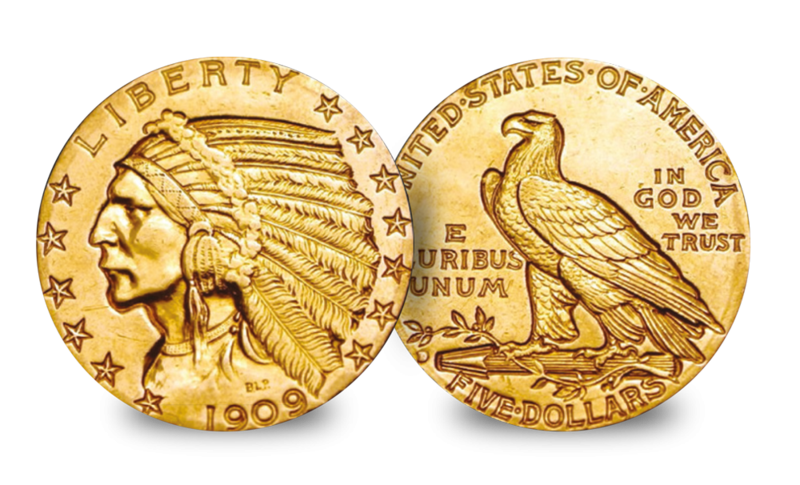 The reverse features a design of powerful eagle holding arrows to symbolize the growing power and wealth of America. As this coin went out of production, the Indian Had was introduced and this coin features the incuse design of an Indian Chief, the first incuse design to be featured on an American con. By law no living person can feature on an American coin, so three Indian chiefs were asked to pose to create this beautiful design. The reverse features a modernized bald eagle standing proud, with the motto ‘E PLURIBUS UNUM’ meaning ‘Out of many one’.